Home » Dairy » Robotic milking: What’s more important time or money? Robotic milking: What’s more important time or money? 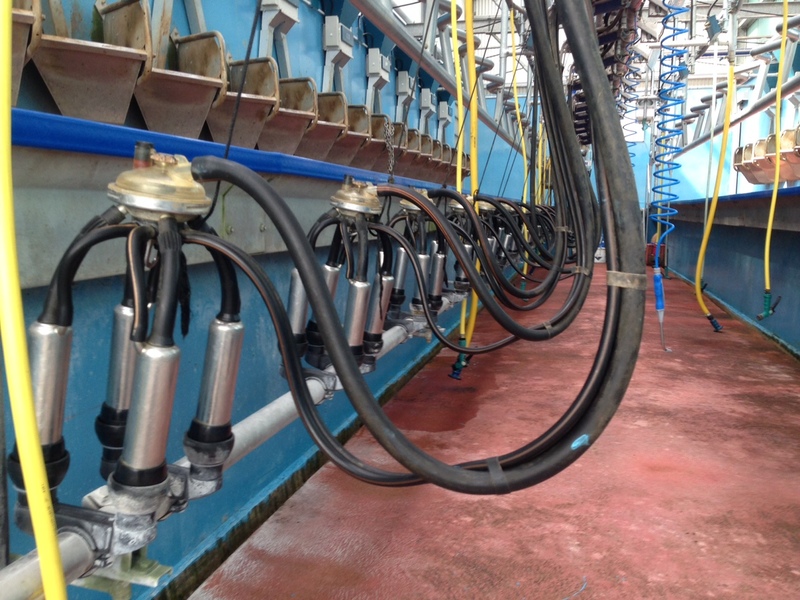 A milking robot will prove a 36% labour saving on a dairy farm throughout the year compared to a conventional milking parlour, according to Teagasc’s John Shorthall. However, according to Shorthall, this labour saving will not necessarily result in an improvement in profitability. 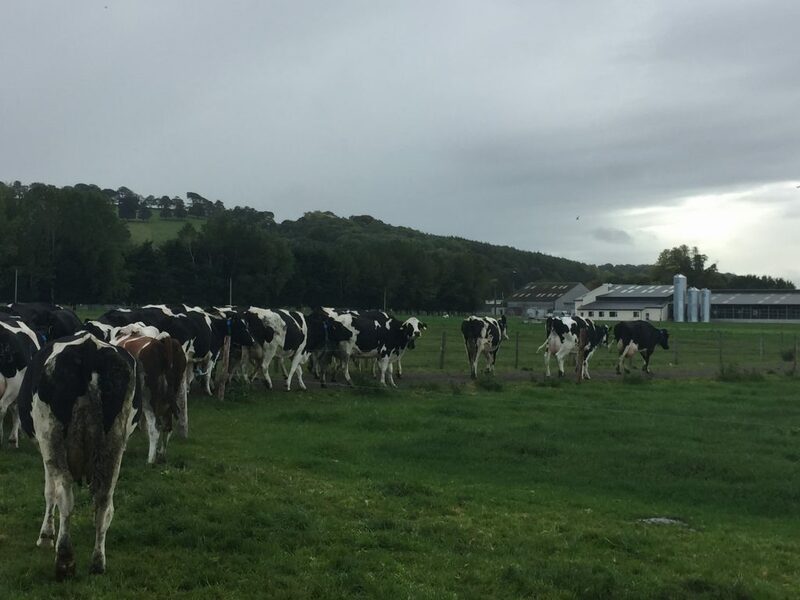 Speaking at a recent Irish Grassland Association farm walk in Nenagh, Co. Tipperary, the Teagasc Walsh Fellow said the profitability of the system is dependent on the cost of the conventional parlour. Shorthall presented the results from his research which indicated the impact different milking technologies had on the profitability of a 140-cow herd, based on a cow producing 5,500L annually. 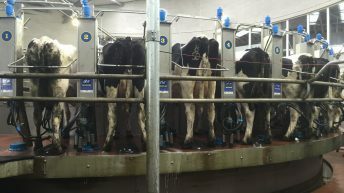 The three types of milking equipment involved included a dual robot system, a 20-unit high specification conventional parlour and a 20-unit medium specification parlour. According to the Teagasc Walsh Fellow, the robots cost in the region of 60% more to install than the medium spec parlour. But he added that there is very little difference in the cost of the dual robotic system and a high spec parlour. The cost of housing the milking equipment is relatively favourable for the dual robotic system, said Shorthall. According to the Teagasc student, when the costings were completed, it was evident that the infrastructure costs for the dual robotic system were 40% cheaper than the 20-unit herringbone parlour. These infrastructure costs involve the physical building in which the milking equipment is held. The annual servicing cost was also considered in this research. According to Shorthall, it costs in the region of €5,000 to service the double robot unit each year. 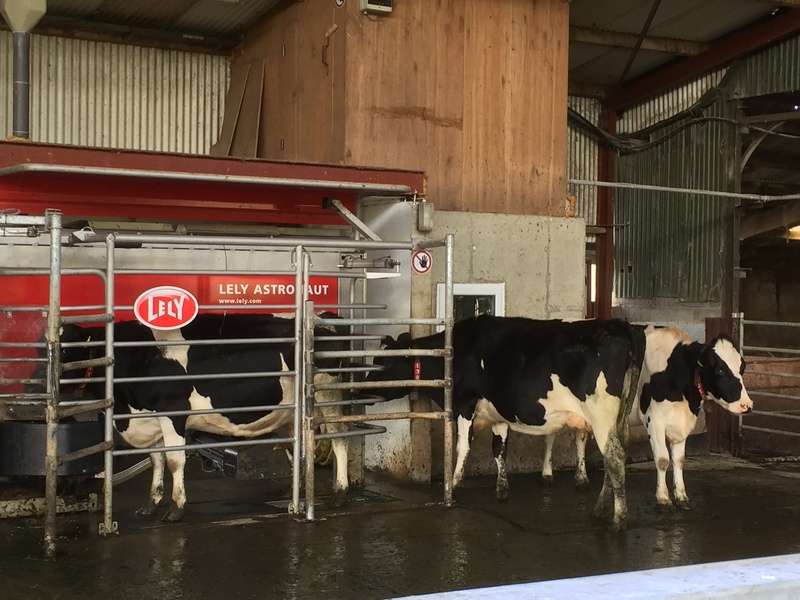 This is almost double the cost of the medium spec parlour, but he added that the costs are quite similar for the dual robotic system and the high specification parlour. The research also indicated the farms operating with a dual robotic used on average 68% more electricity than a conventional milking parlour. This increase in energy usage occurred as the air compressor on the AMS or robotic system used in the drafting gates used 25% of this additional energy. Farmers using the dual robotic system spend considerably less time working each day and work on average 3-3.5 hours less than the conventional farmer, according to Shorthall. On average, he added, the conventional farmers spend three hours each day milking/droving cows, while the farmers using the robots spend approximately 40 minutes each day at this task. 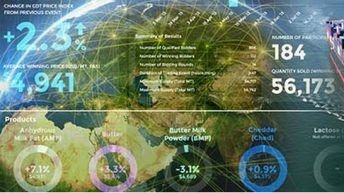 The results also show that farmers operating a robotic milking system spend considerably more time managing grass. According to the Teagasc research, the farmers operating this robotic milking system spend 40 minutes each days allocating grass. Farmers operating a conventional parlour spend considerably less time at this task and allocate five minutes each day to this activity, he said. “In total there is a 36% saving in labour right throughout the year with a robotic milking system,” said Shorthall. 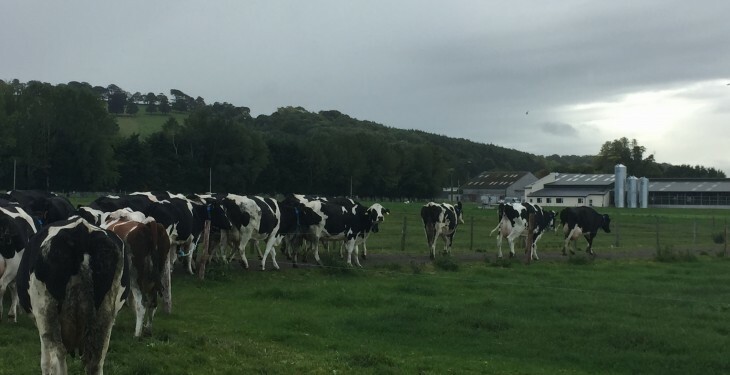 One of the key benefits of robotic milking is the reduced labour, but according to the Teagasc Walsh Fellow, this reduction in labour does not necessarily result in an increase in farm profit. The results of the research show that the Automatic Milking System (AMS) is 10% less profitable than milking cows in the medium spec parlour. This represents a €9,000 difference in pre-tax profit when the initial investment was considered over a 10 year period with an interest rate of 5%. However, the reduced labour does impact on the profitability when the high spec parlour and the dual robot system are compared. According to the Teagasc research, this reduction in labour has a positive impact on the profitability of the dual robot system. When the AMS is compared to the high specification parlour, there is a substantial difference in profit due to the labour saving, the robotic system now becomes 10% more profitable. 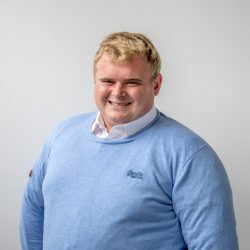 “If farmers want the equivalent technology, milking cows in an Automatic Milking System (AMS) parlour is 10% more profitable than the high specification parlour,” said Shorthall.